This is the variety described by Walter Breen as 2-B, and is the third variety listed in his monograph. Harry Bass acquired this example from the famous Norweb Collection, it having an earlier pedigree from the King Farouk Collection. This is a rarity with just six or seven examples known. 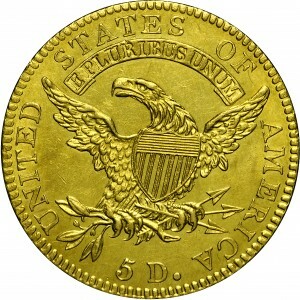 A third variety exists among 1819 half eagles, also with just six or seven known. 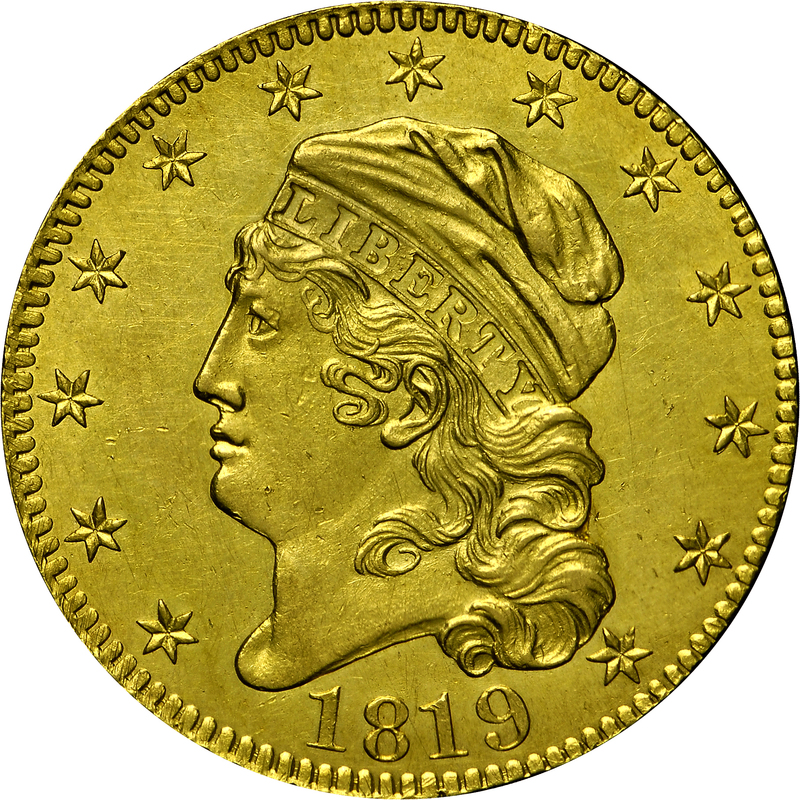 The recorded mintage for all 1819 half eagles was 51,723 coins. 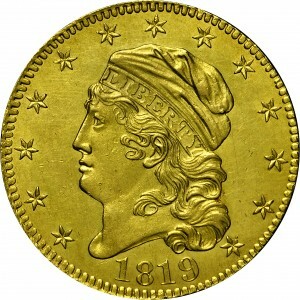 With possibly 35 survivors, it is probable that most were dated 1818, a much more plentiful date with a lower recorded mintage of 48,588 coins. From the Bowers and Merena Galleries sale of the Norweb Collection, Part I, October 1987, Lot 770. Previously from the Sotheby's sale of the King Farouk Collection, February 1954, Lot 236. 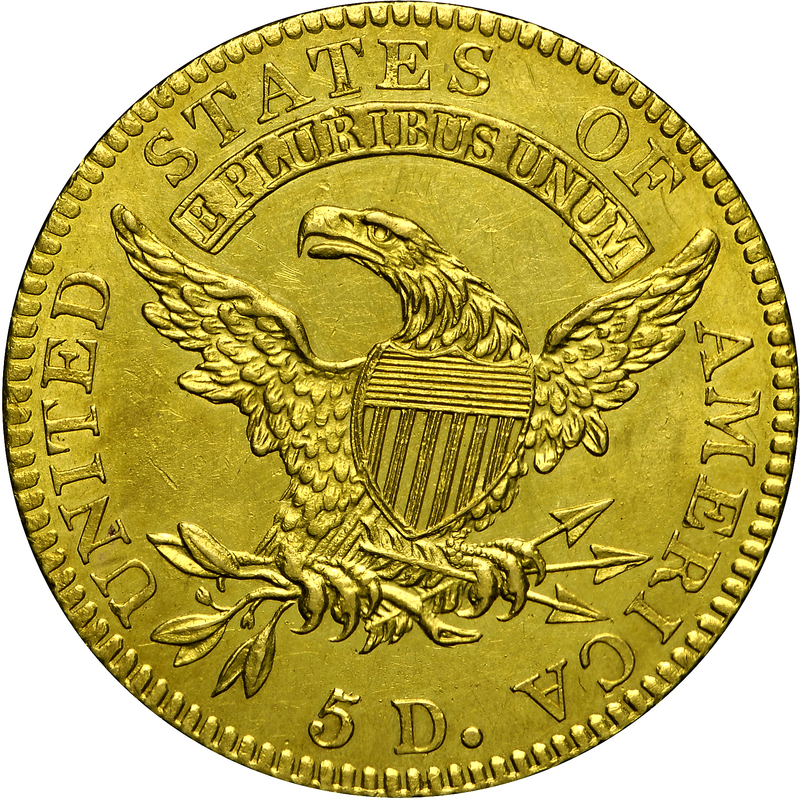 "Obverse: Close erratic date, numerals askew. Top and base of first 1 markedly higher than those of 8. 9 no more prominent than other numerals. Reverse: Top of 5 has a recess, causing it to appear curved. The 5 is from a new punch. Its knob is round and large relative to thickness of 5's base. Large period after D. First S is over E, space right, and a bit of P. No clash."